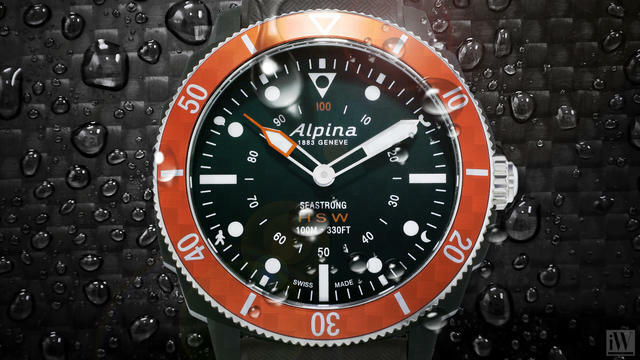 Alpina in the 1960s made many dive watches. And one of its best-known examples, at least in Switzerland, was a masculine model called Seastrong. This year Alpina connects its modern corporate identity with that historic design by creating the Seastrong Horological Smartwatch. 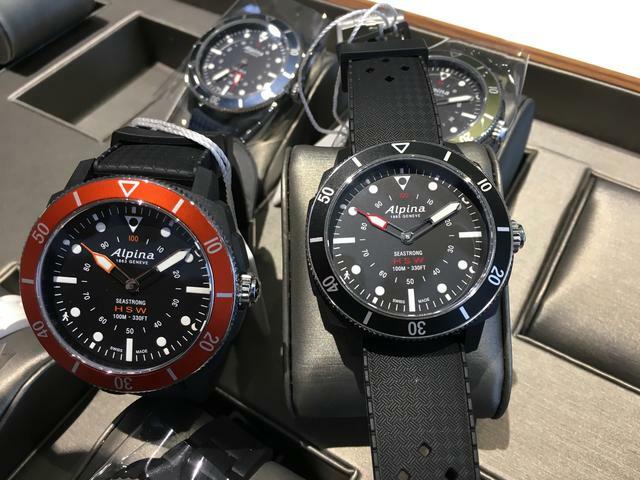 You’ll recall that Alpina and its Geneva-based sibling Frederique Constant two years ago were among the pioneering Swiss watch companies to offer a smartwatch alongside their full collections of Swiss mechanical and quartz wristwatches. Teaming with Swiss firm Manufacture Modules Technologies (MMT), the two brands each debuted their own smartwatches with decidedly classical, analog dials. 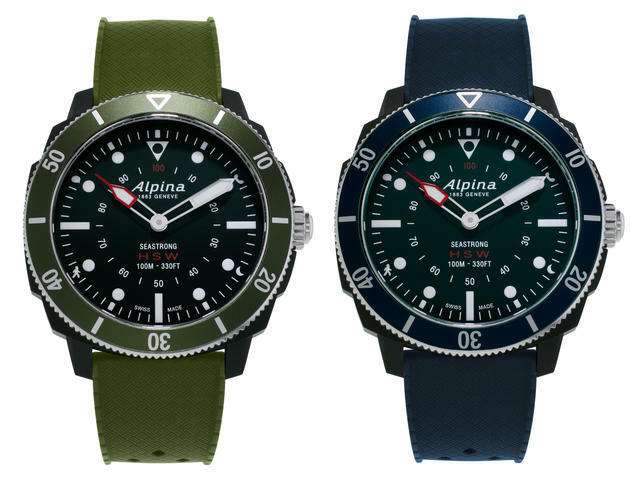 This year Alpina give its smartwatch technology a sporty costume, specifically a dive suit. 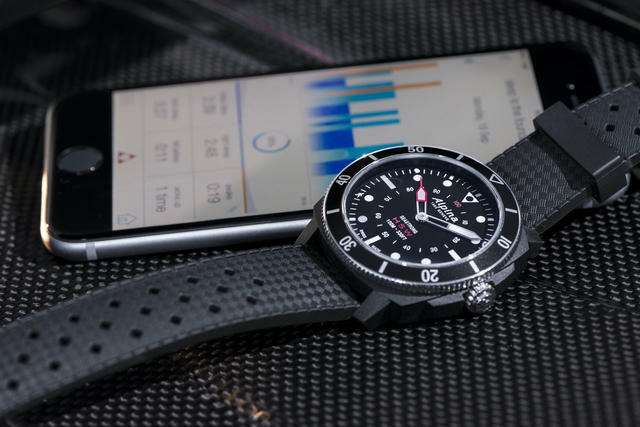 The result may be the first digitally connected wristwatch that looks like a dive watch, and, with its true dive watch specifications, acts like a dive watch. 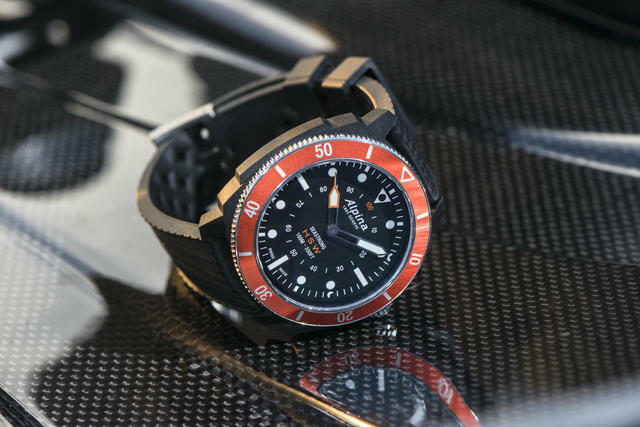 True dive-ready features include 100 meters of water resistance, a unidirectional diver bezel, luminous hands, indexes and markers for high visibility under water, and a rubber strap. 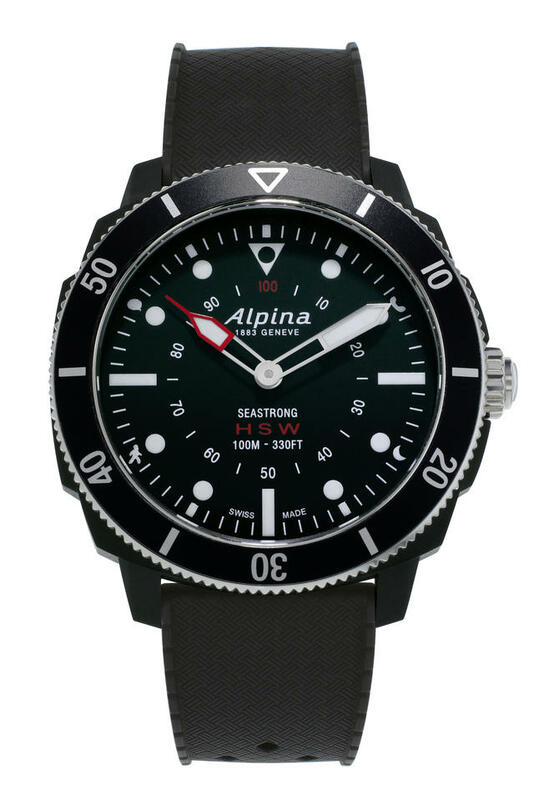 As a smartwatch, however, the new 44mm steel Alpina Seastrong Horological Smartwatch (set to debut at Baselworld 2017) also offers activity tracking and sleep monitoring and features various other functions such as dynamic coaching, 24-hour worldtimer, automatic adjustment via smartphone when changing time zone, as numerous notifications and alerts. As a bonus, Alpina has idiot-proofed the Seastrong Horological Smartwatch. If the watch is lost, the data can be easily recovered, since the measurements are automatically stored in an independent cloud for thirty days without need for sync with a smartphone. The collection features four models on rubber straps, each sporting a different bezel color: black, green, orange and navy blue. MMT-282-1 Horological Smartwatch caliber, powered by a battery providing more than four years’ autonomy. Hours, minutes, email or call notifications, activity tracking, sleep monitoring, automatic time-zone adjustment, sleep cycle alarm, get-active alerts, dynamic coaching, cloud back-up and restore, 24 time-zone worldtimer. Black or blue. Luminescent hands and hour-markers. Black, green or blue rubber. Anindependent, family-owned fine watchmaking manufacture based in Geneva,Switzerland, Alpina was founded in 1883. For 132 years, Alpina has acted as a pioneer of theSwiss watchmaking industry with a multitude of innovations and patents. As the inventor of the modern sport watch, the brand continues its adventurous spirit through special initiatives incorporating both the professional explorer community and the adventurous watch enthusiast.